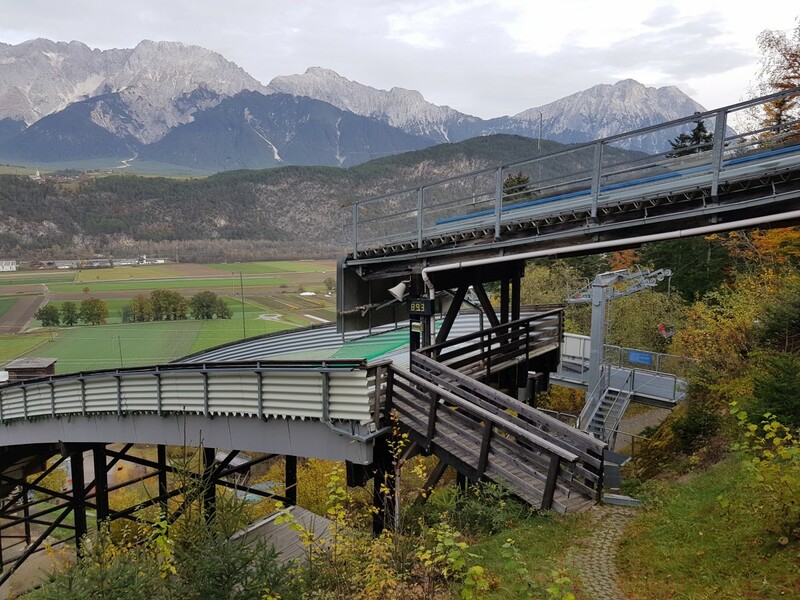 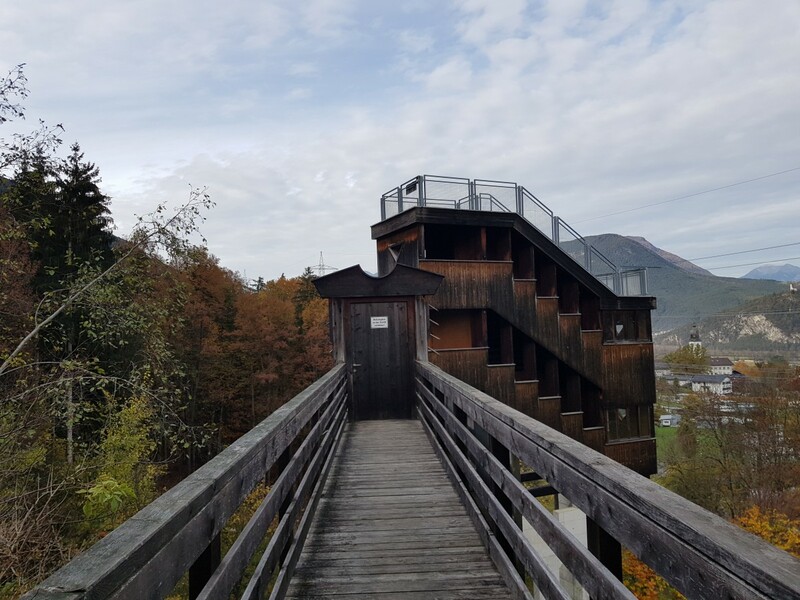 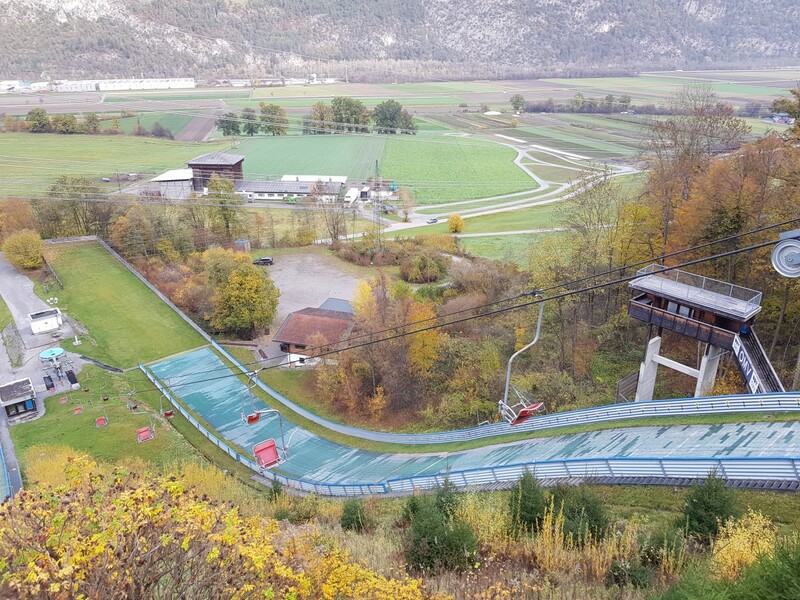 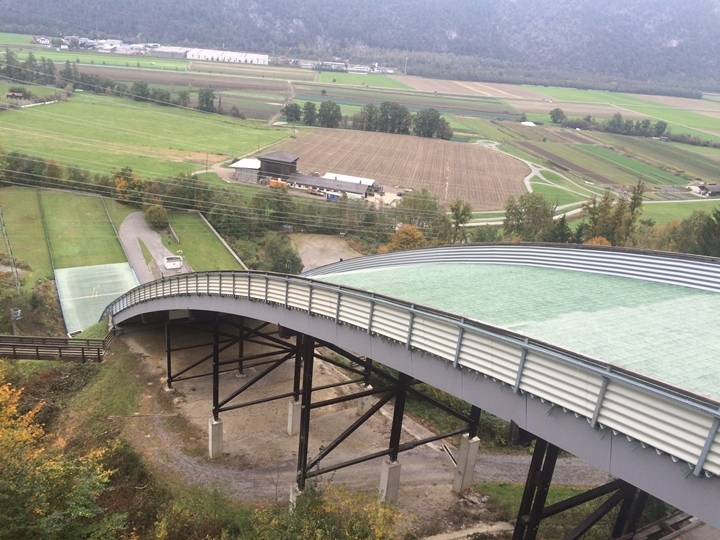 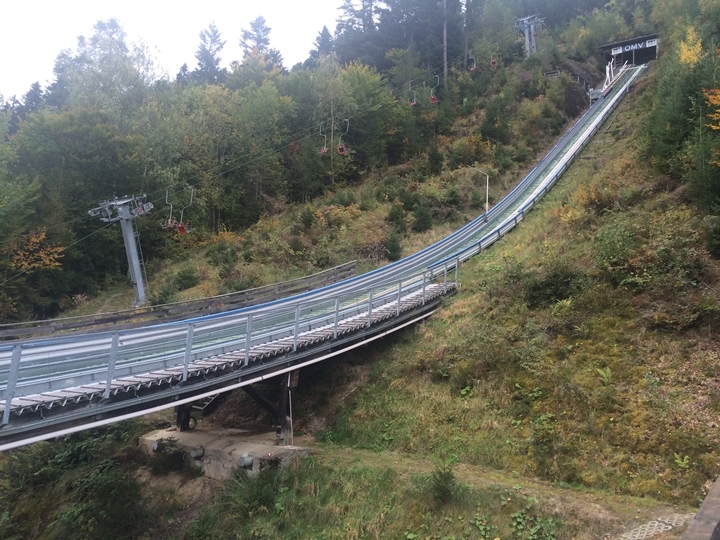 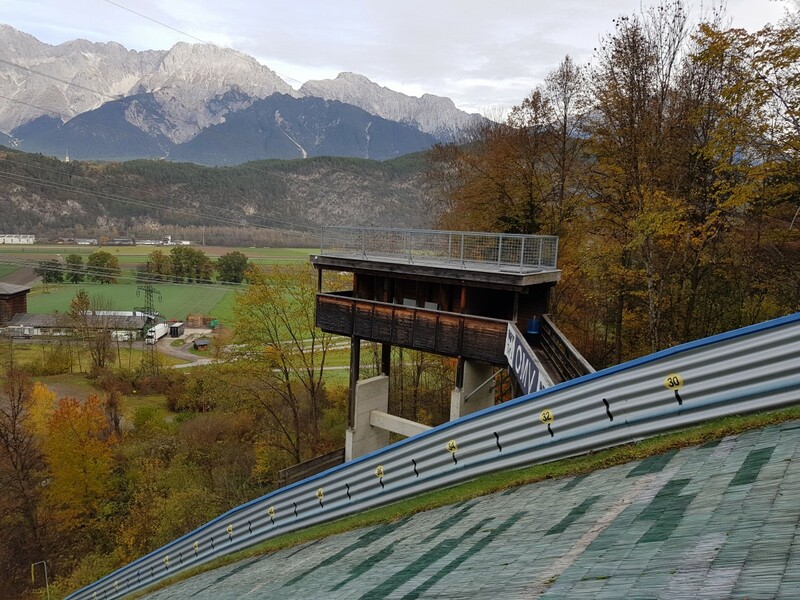 The Brunnentalschanzen at Stams are one of the most important summer training centers for Austria's youth and professional ski jumpers. 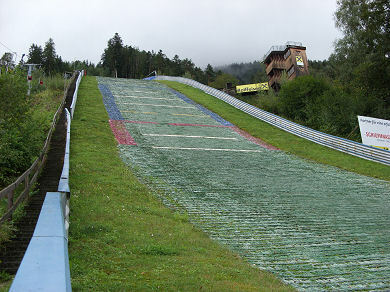 The construction works on the plastic covered hills started in 1988. 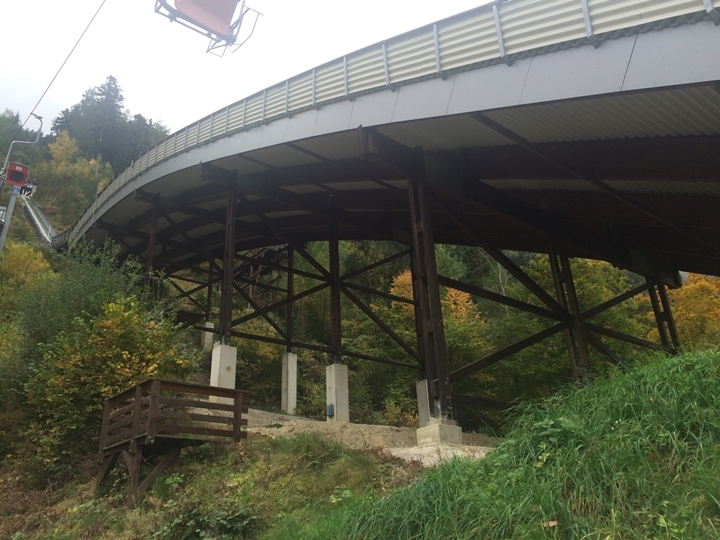 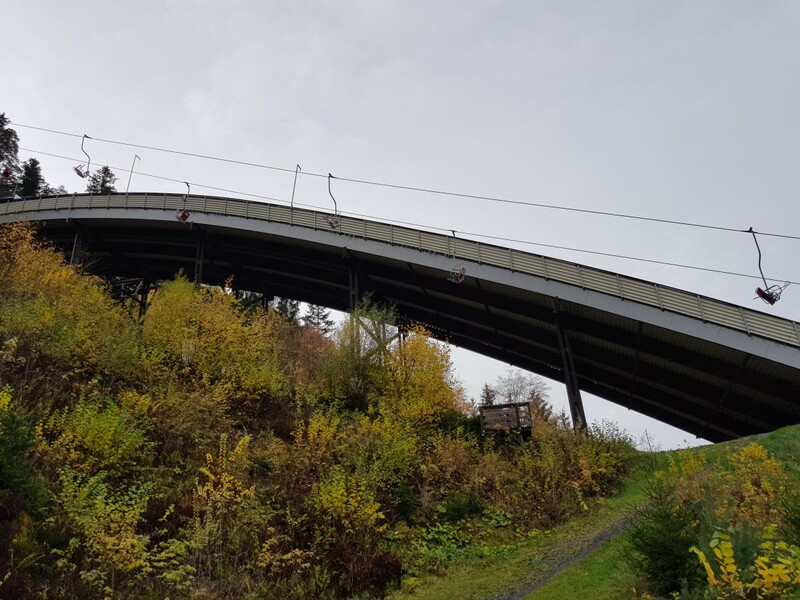 The works were finished in 1990, including a ski-lift and an artificial snow-making system. 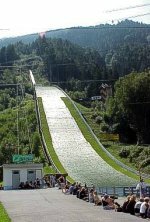 The ski-college, which belongs to the complex, is one of the most famous in the world. 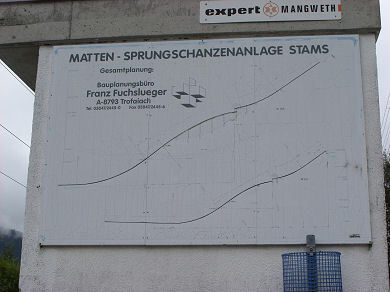 At the begging of school year 1990/91, it organized an international opening competition on the Brunnentalschanze. 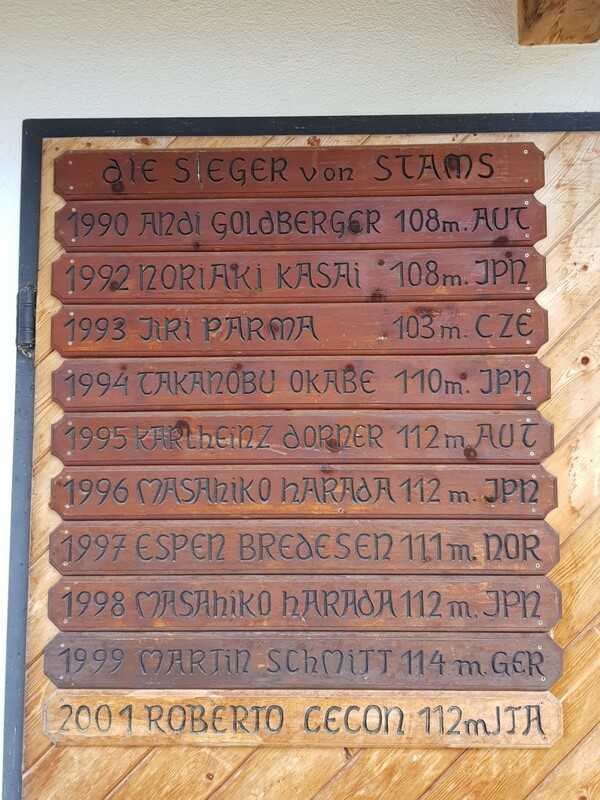 The so far unbeknown college student of Stams Andreas Goldberger won this competition. 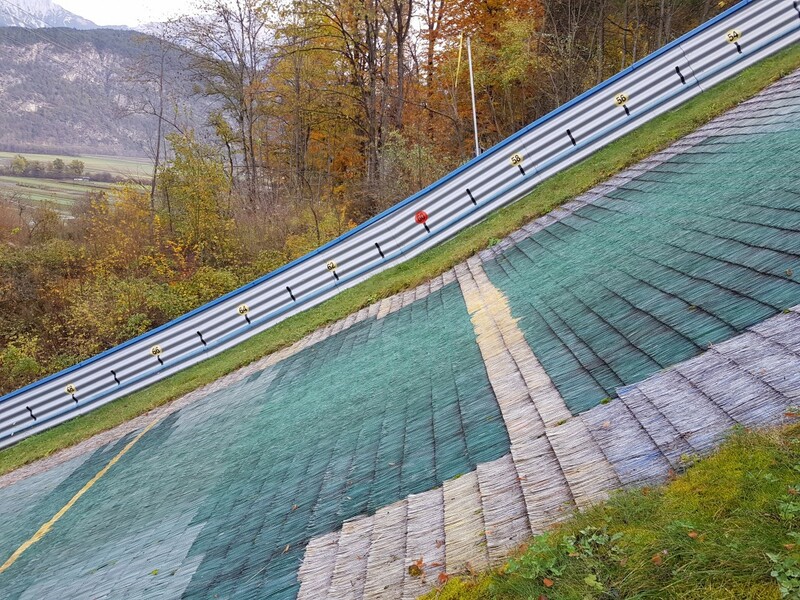 In 1991/92 the K105 needed to be closed and soil movings in the landing hill had to be repaired. 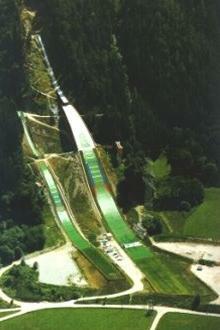 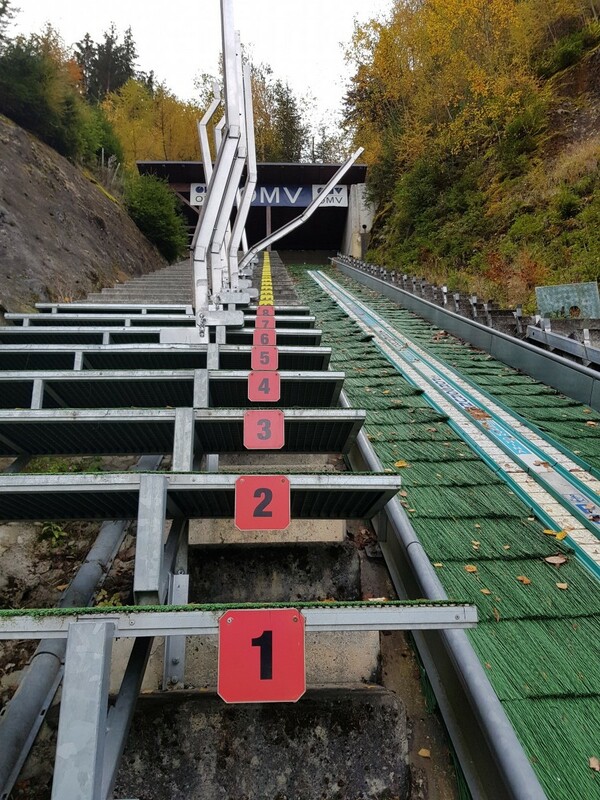 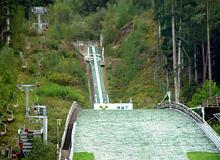 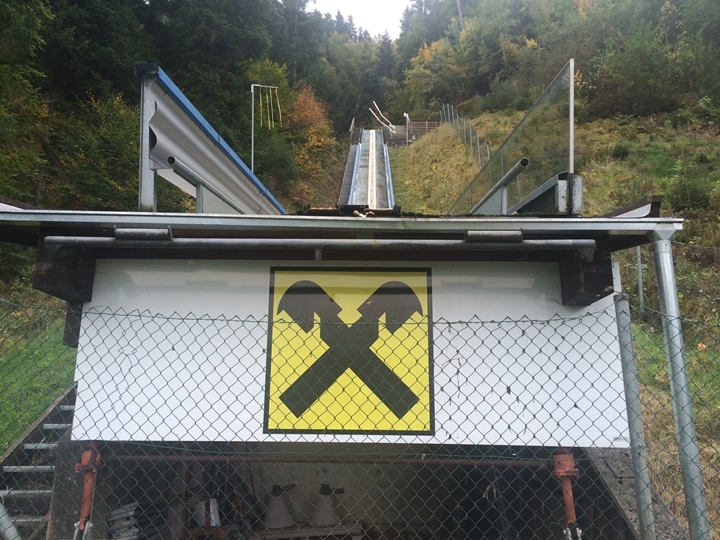 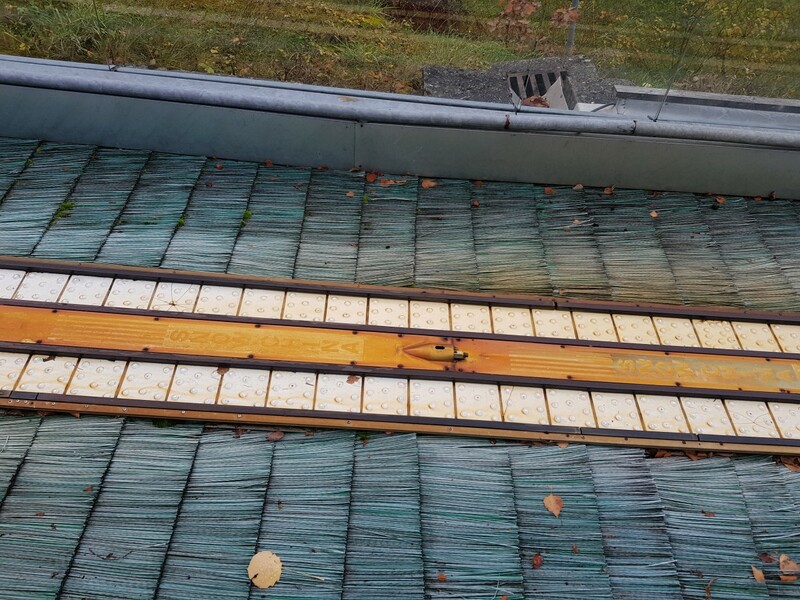 This works were no problem for organizing the FIS Summer Grand Prix between 1994 and 2001. 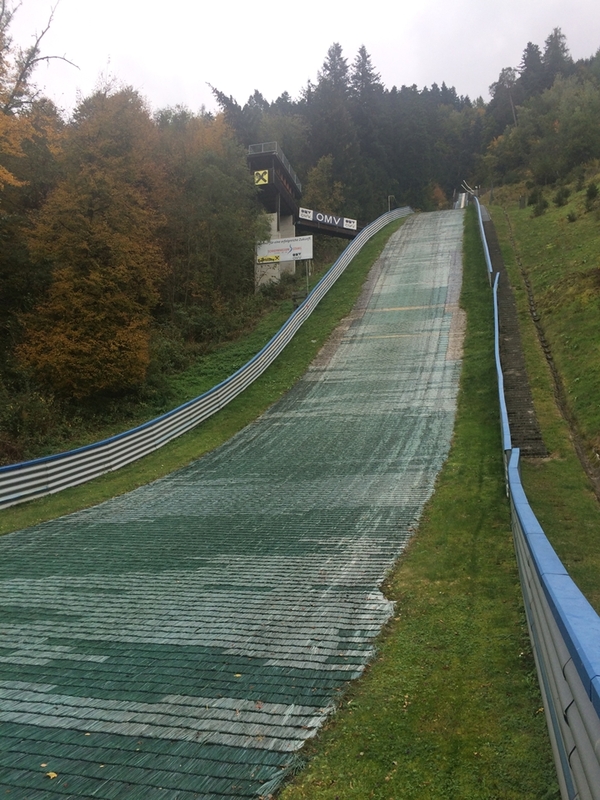 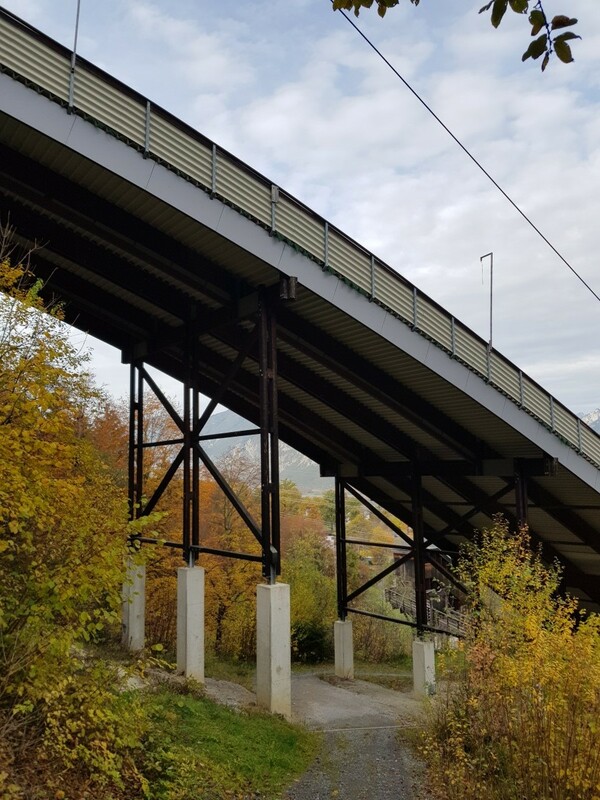 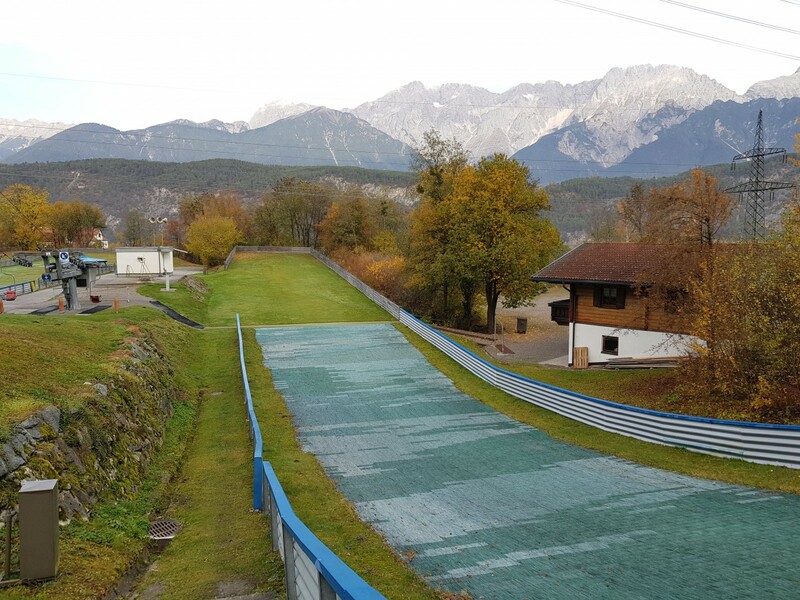 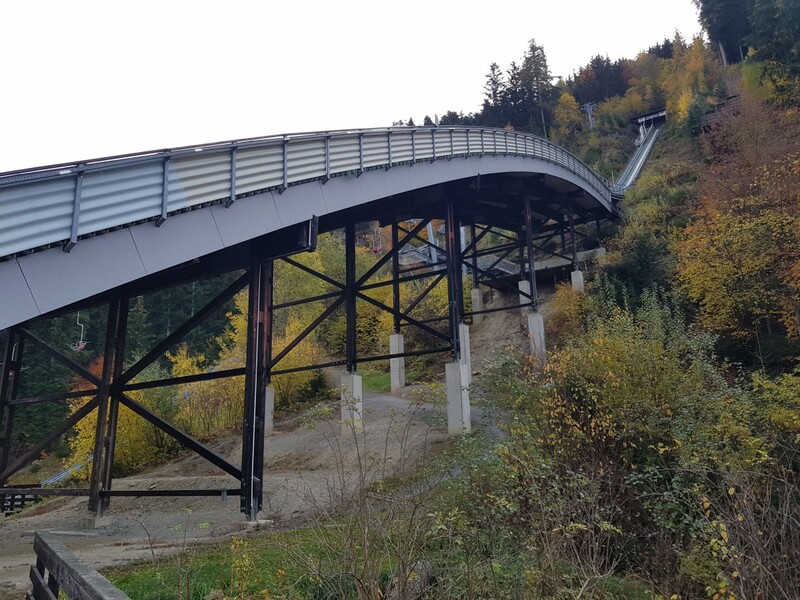 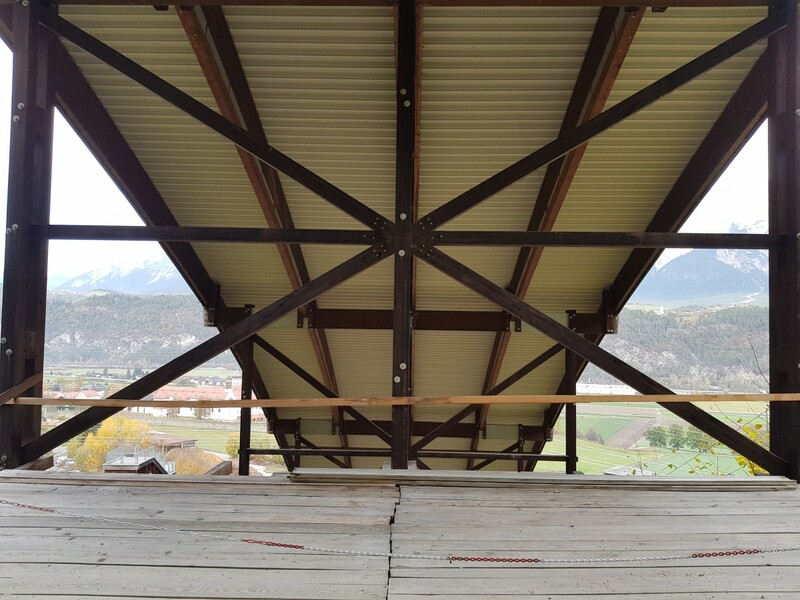 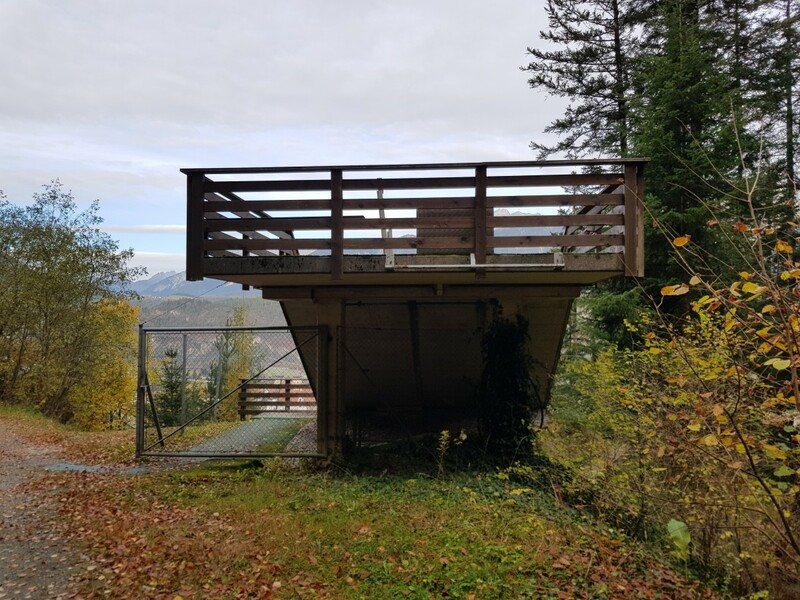 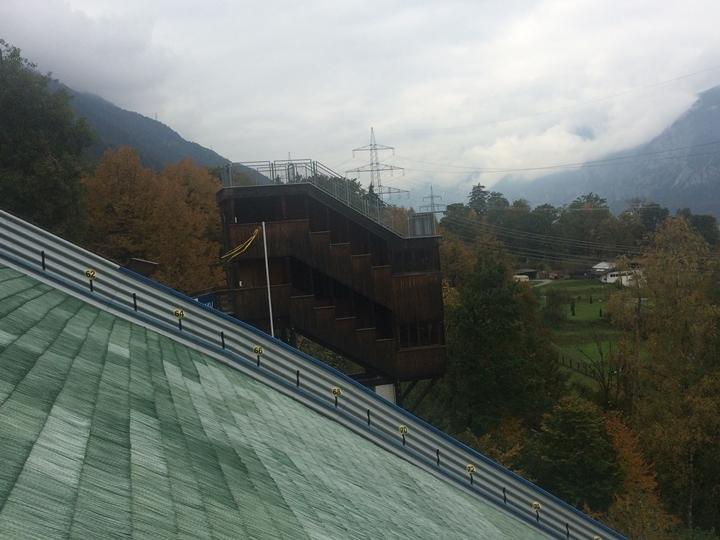 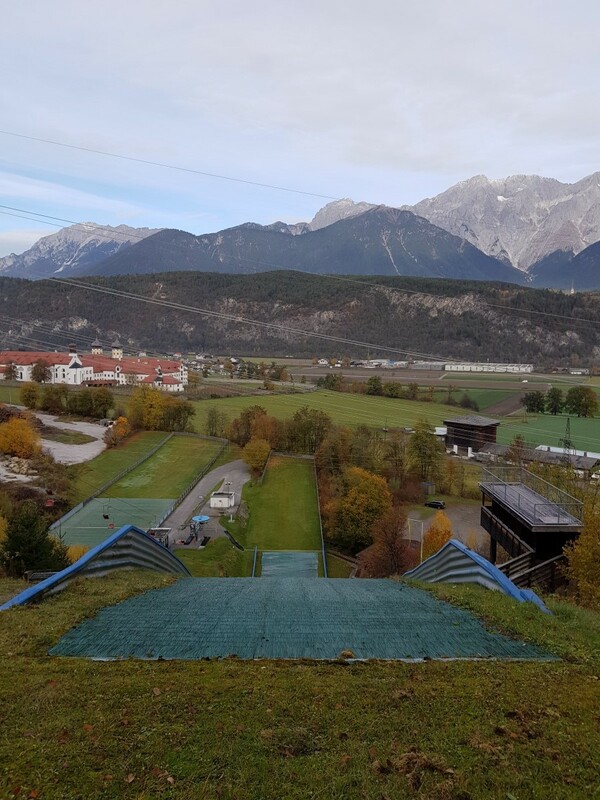 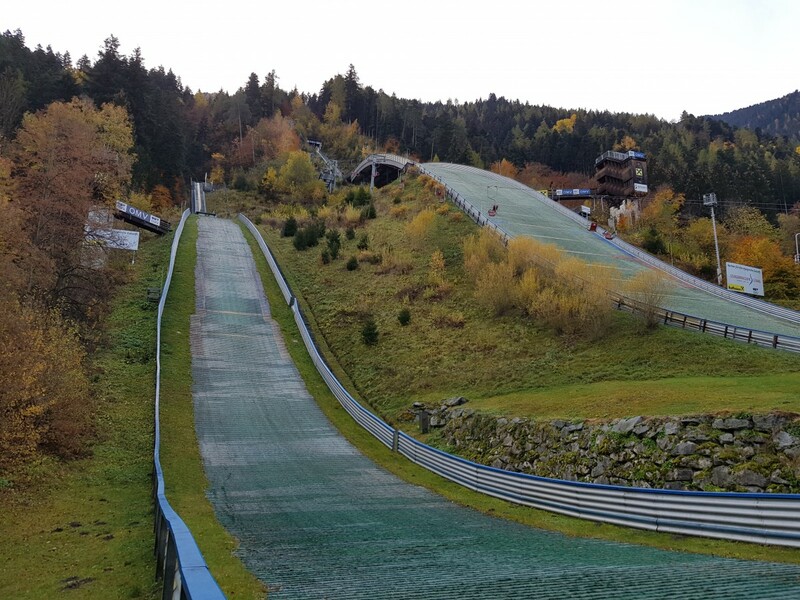 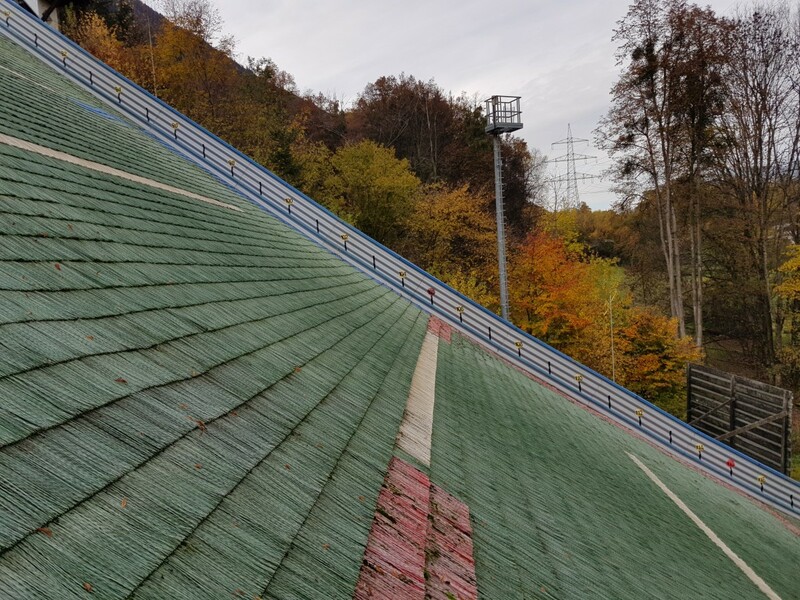 But since 2001, there hasn't been any international competition in Stams, because the hills in Innsbruck and Bischofshofen were more attractive for the officials due to their bigger sizes after renovating works. 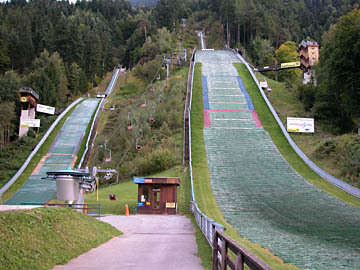 Not only since this time, the hills have been mainly used by the students of the ski-college. 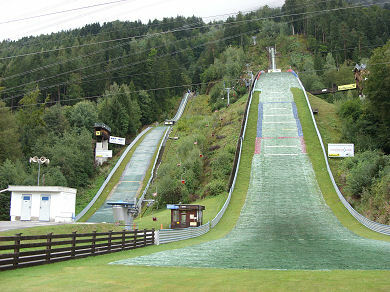 Nowadays there are 33 young men and 6 young women jumping on the hills. 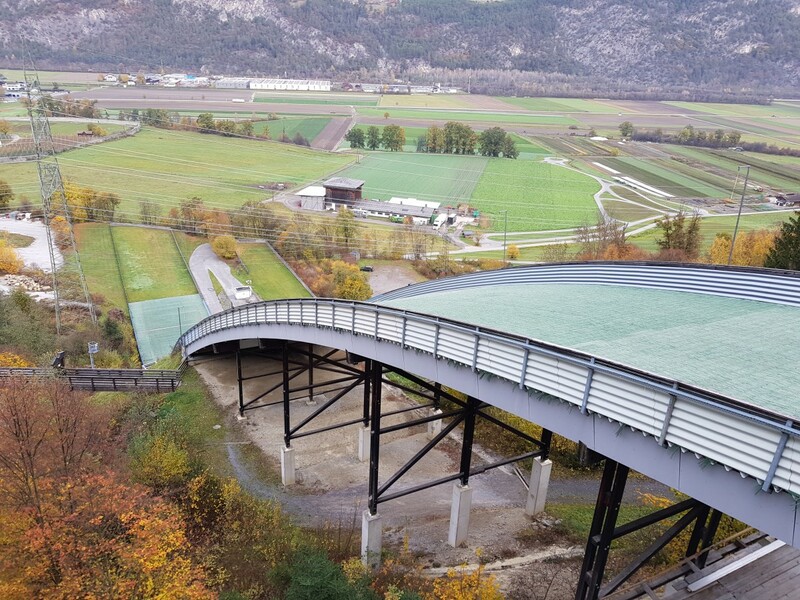 For making sure that the students will be well trained, the hills were modernized in summer 2010 for 1.4m €, including new plastic mattings. 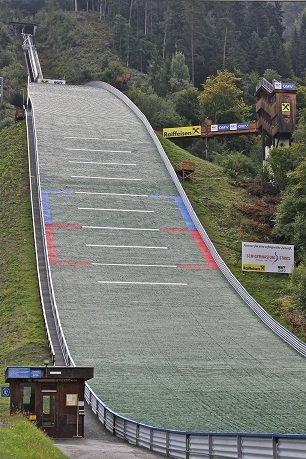 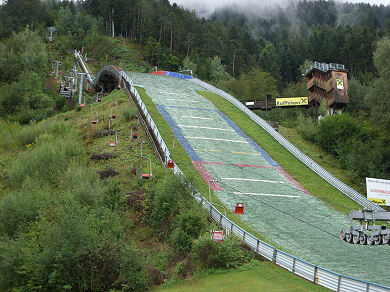 The opening competition on the renewed Brunnentalschanze on 2010-09-26 was won by Gregor Schlierenzauer ahead of his also particiapting teammates from Austria's national ski jumping team. 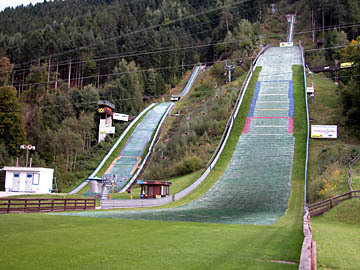 The hills can be also used by hobby-jumpers. 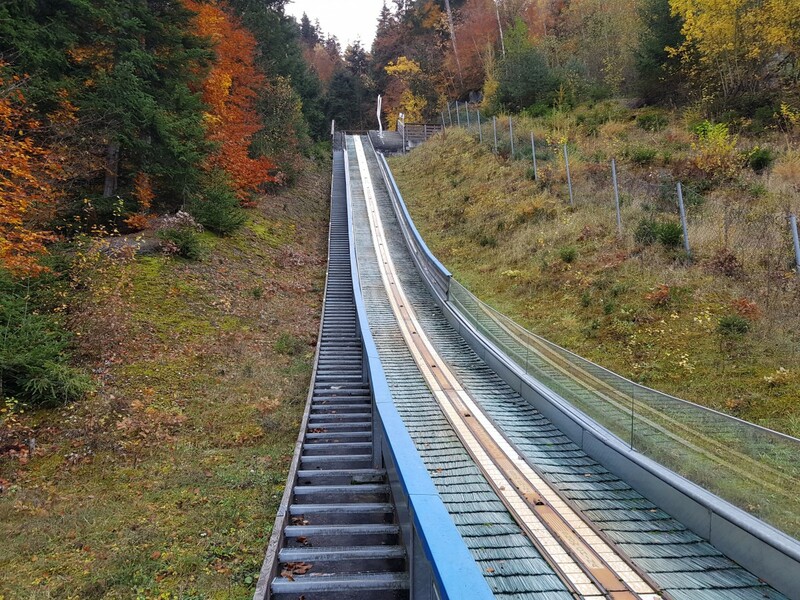 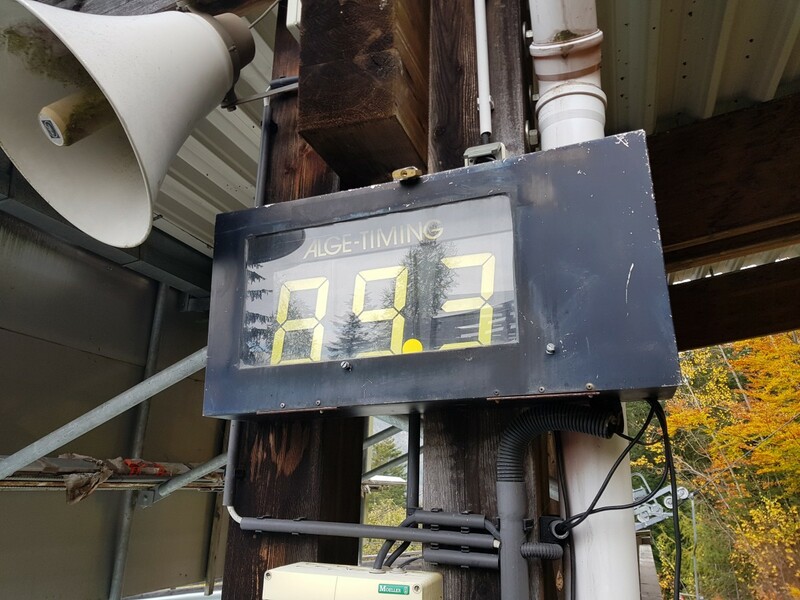 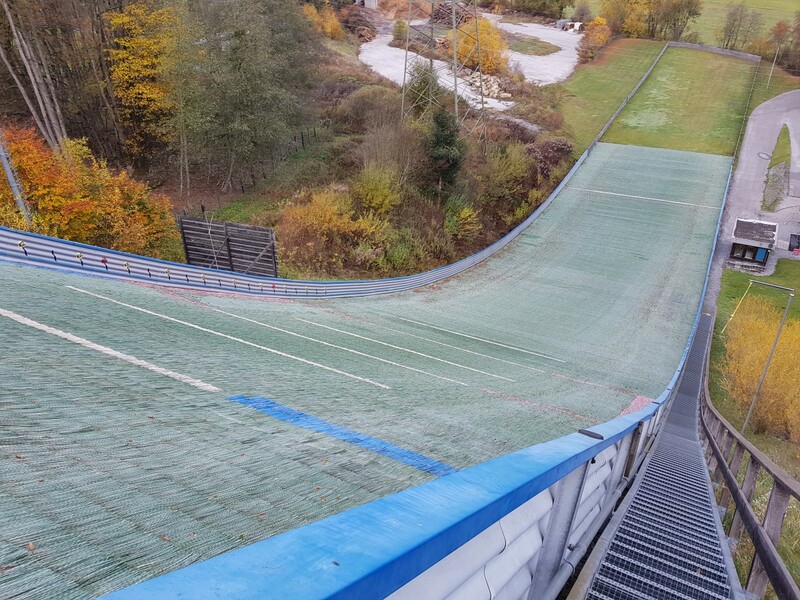 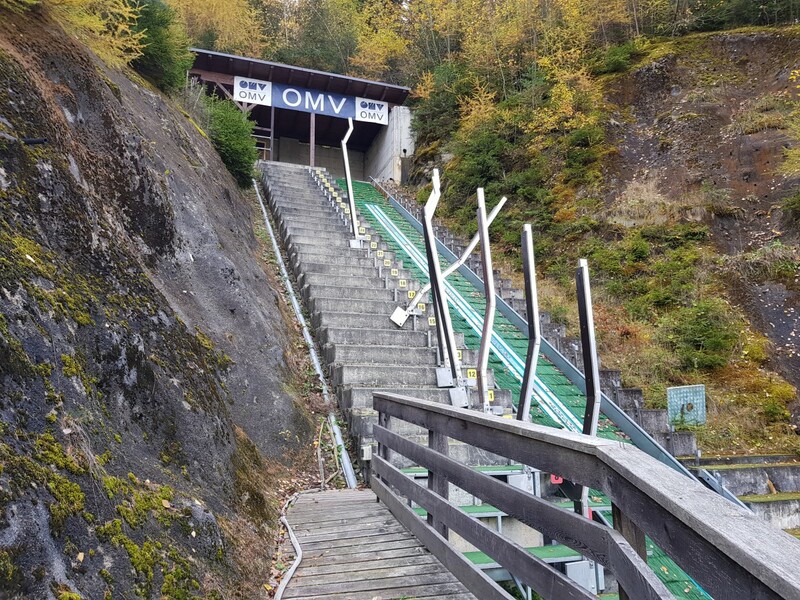 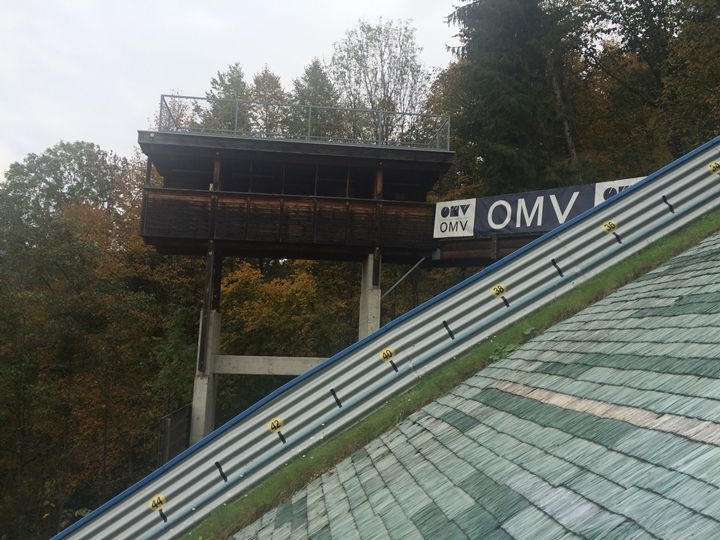 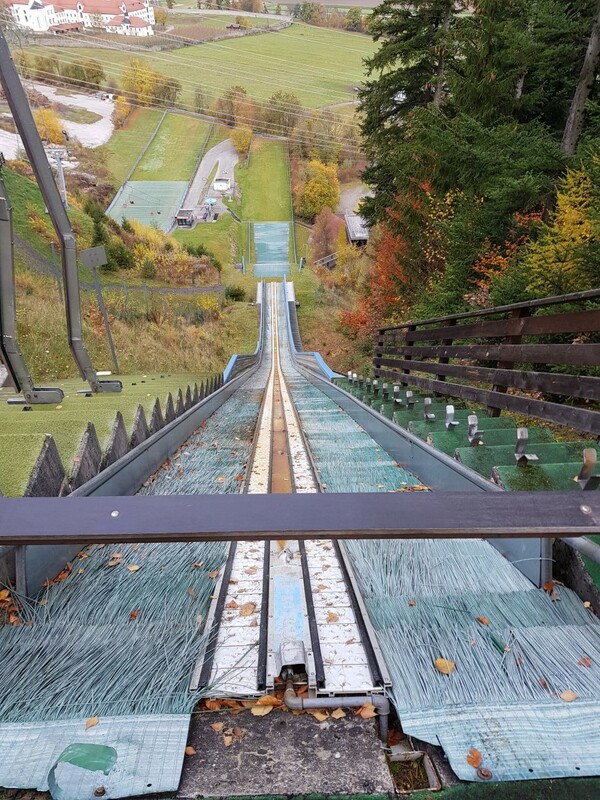 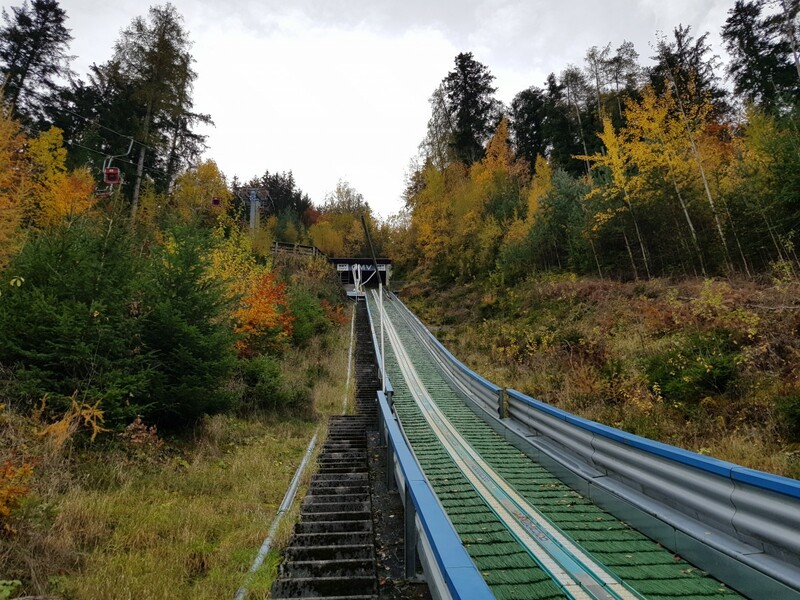 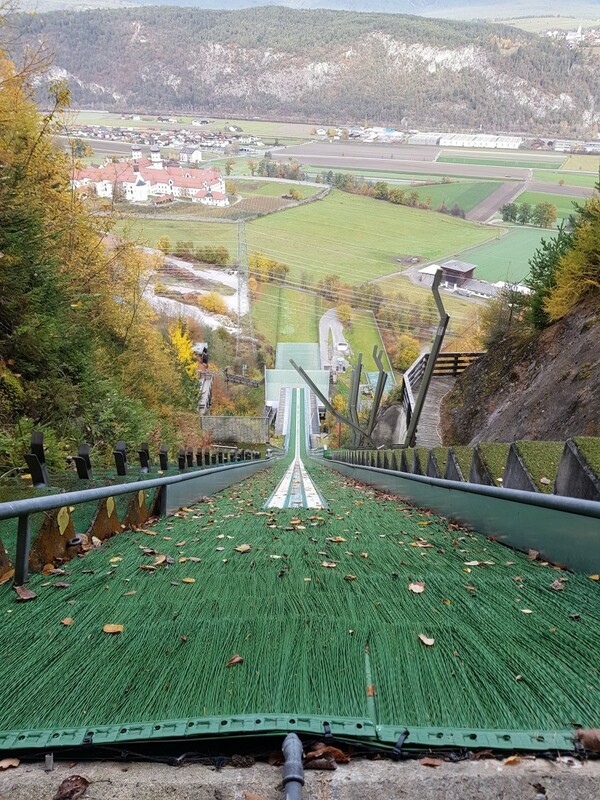 Who proofs his talent at “ski jumping for anyone”, is allowed to jump on the K60 and can experience the same feeling as the young talents. 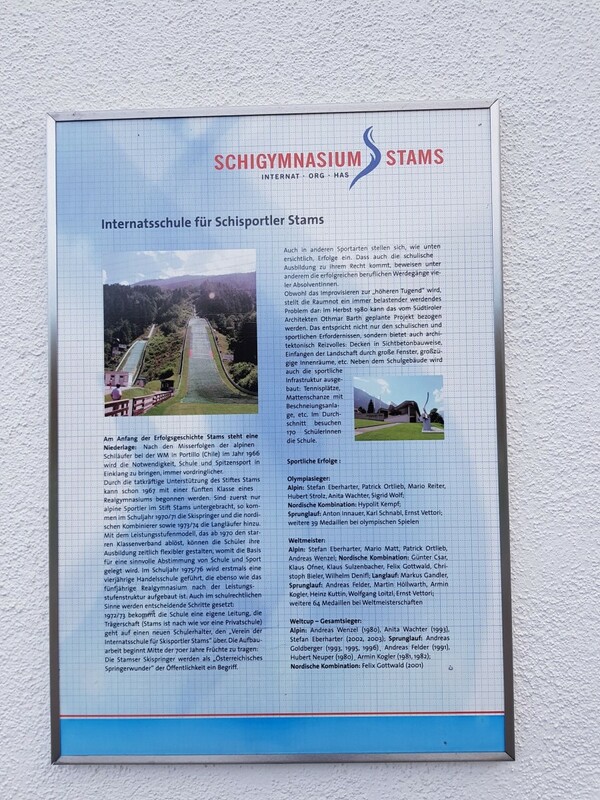 Stams in a little town on the banks of the Inn, in the middle of Landeck and Innsbruck. 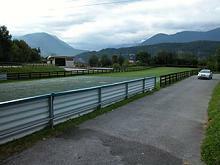 Both cities are about 35 km away. 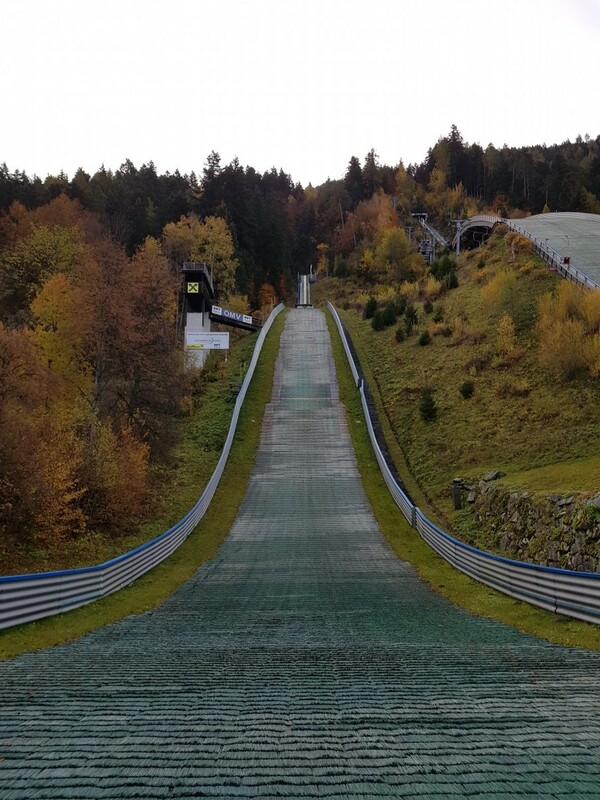 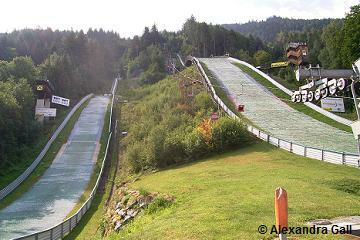 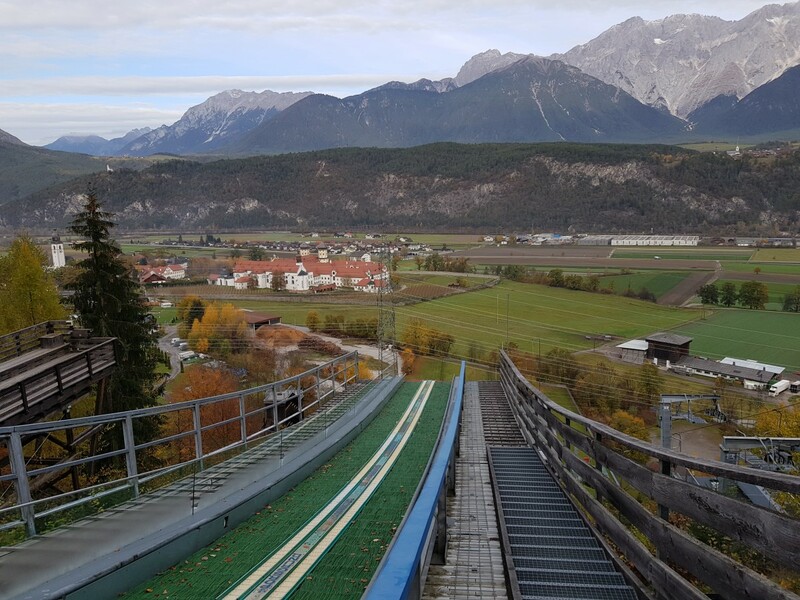 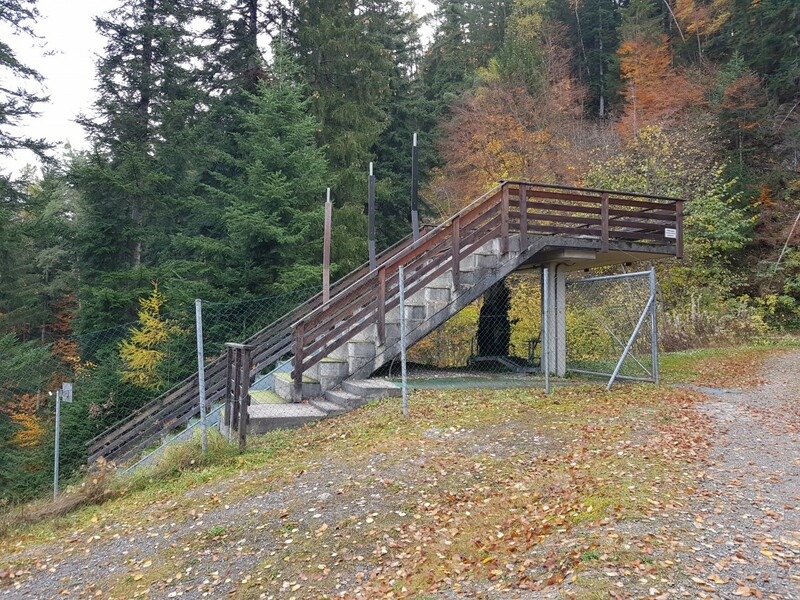 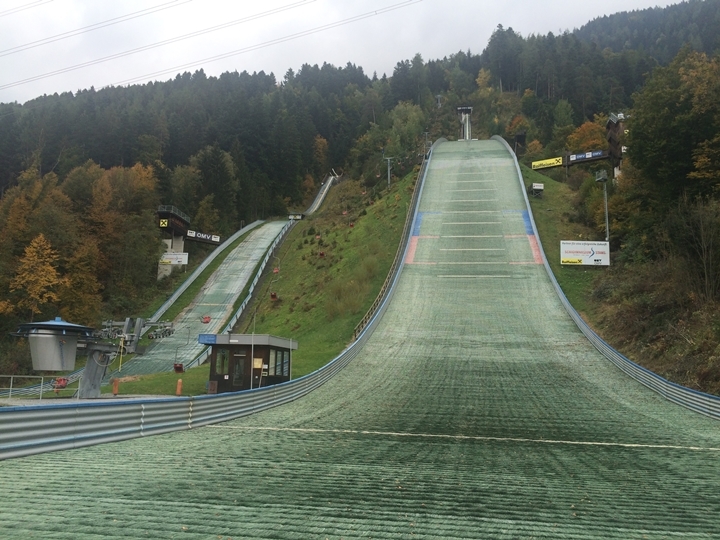 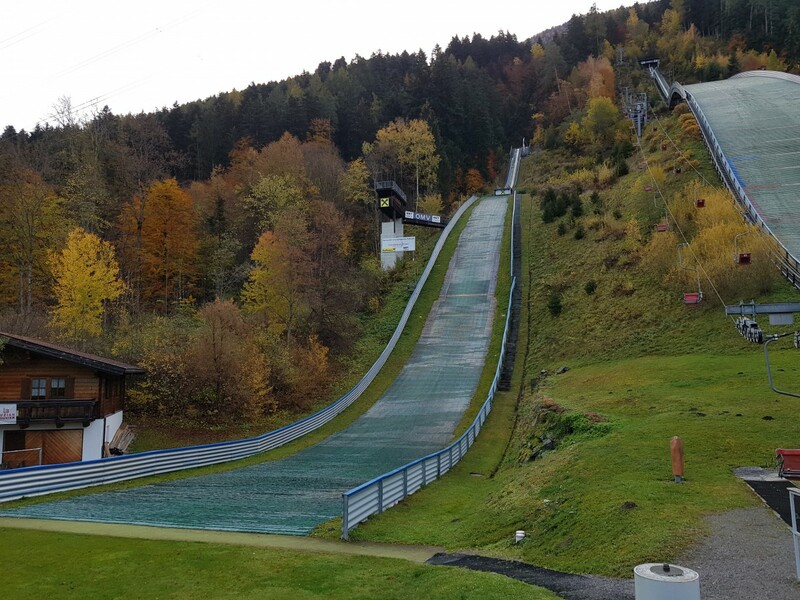 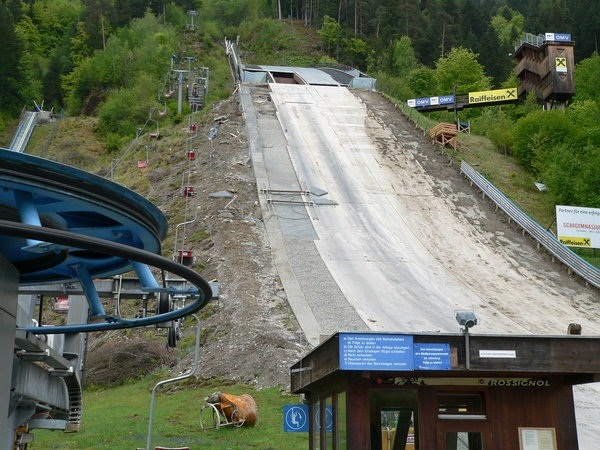 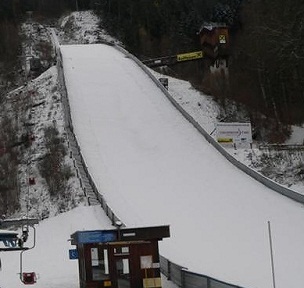 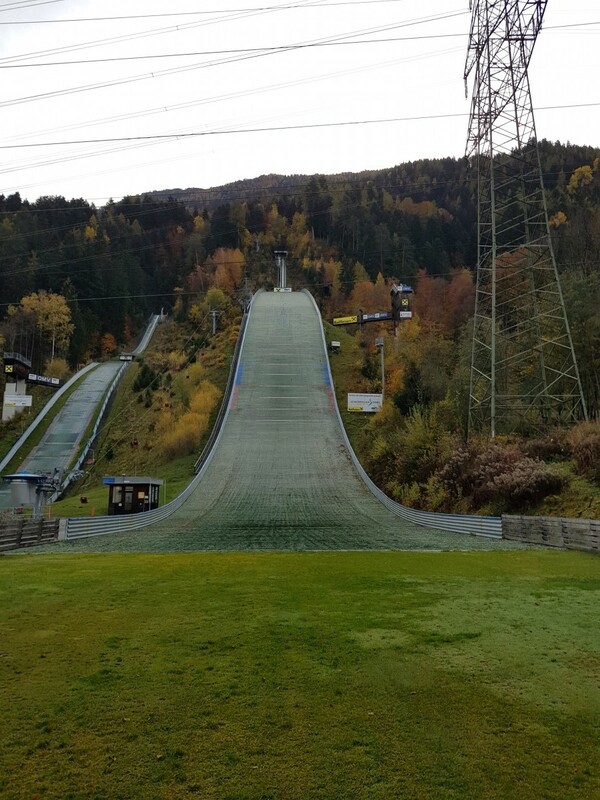 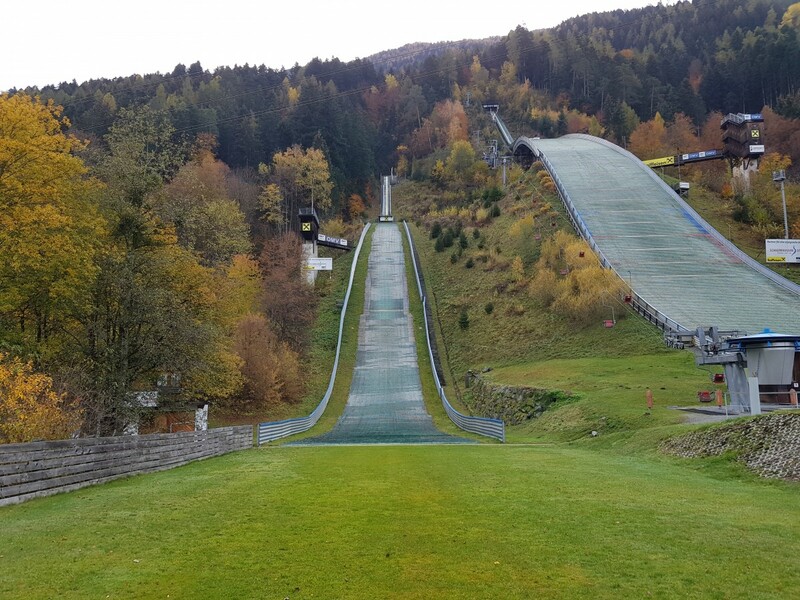 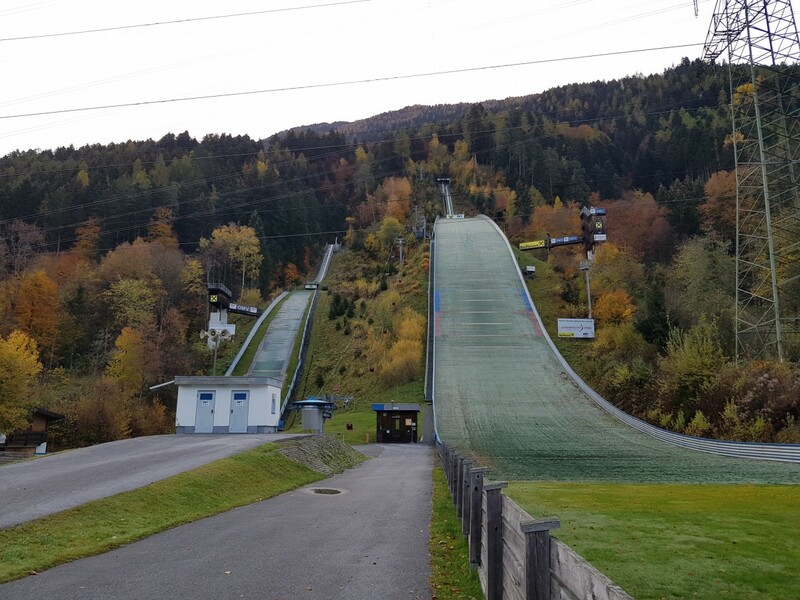 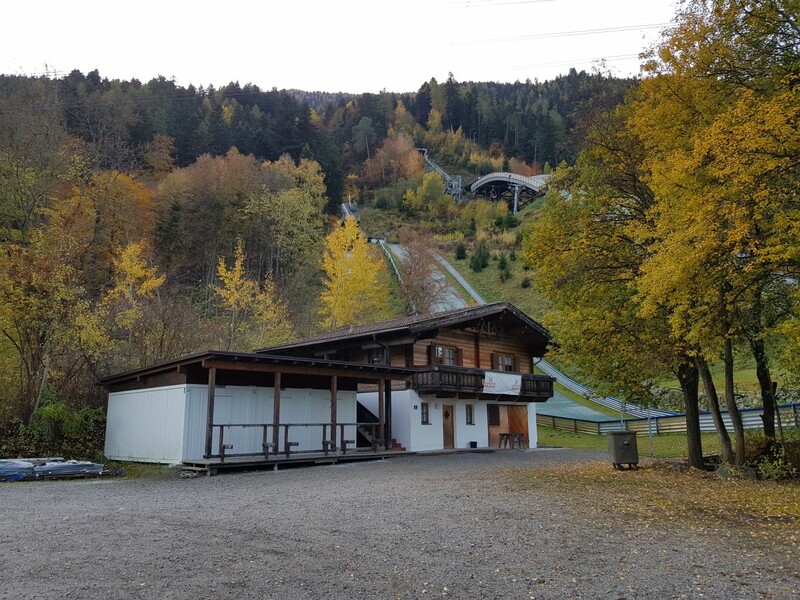 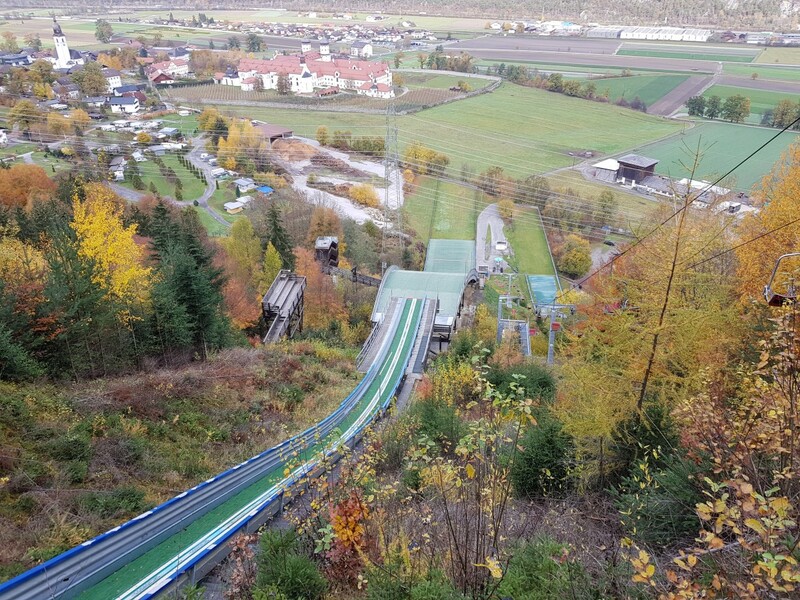 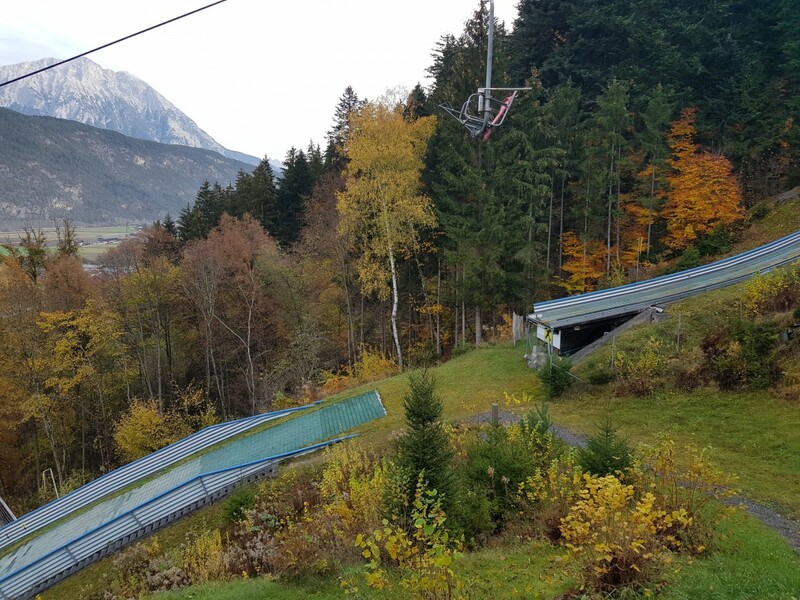 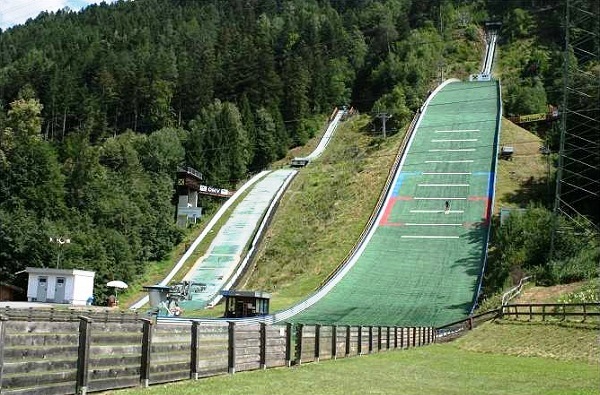 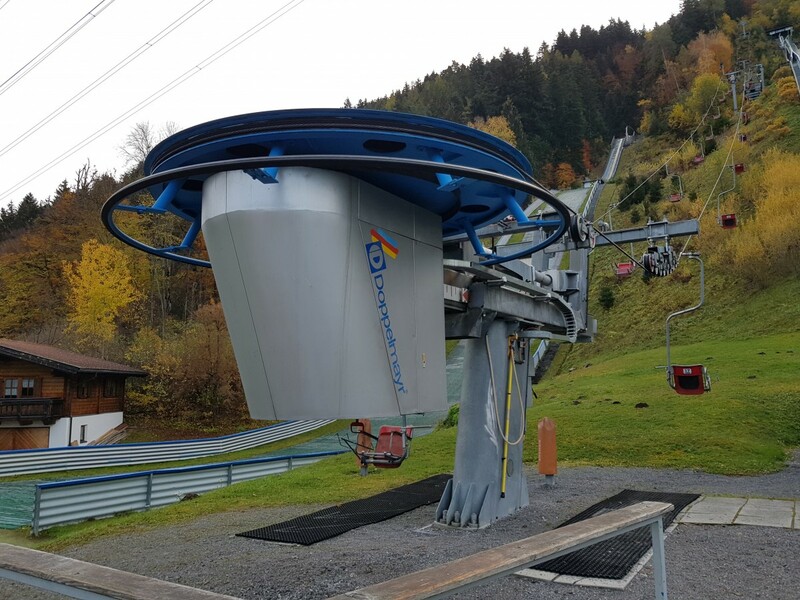 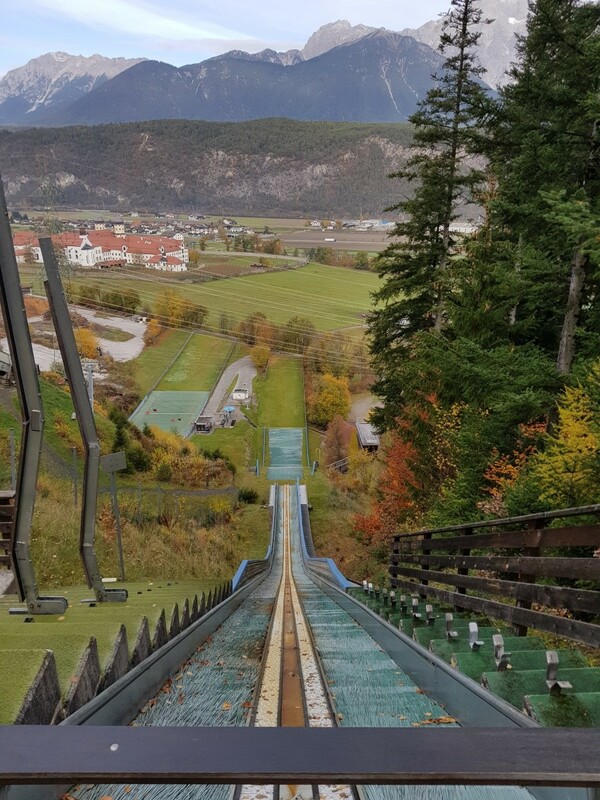 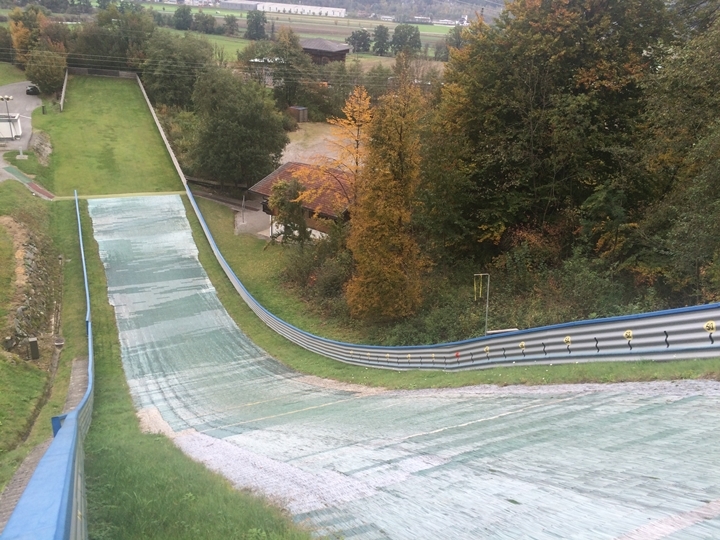 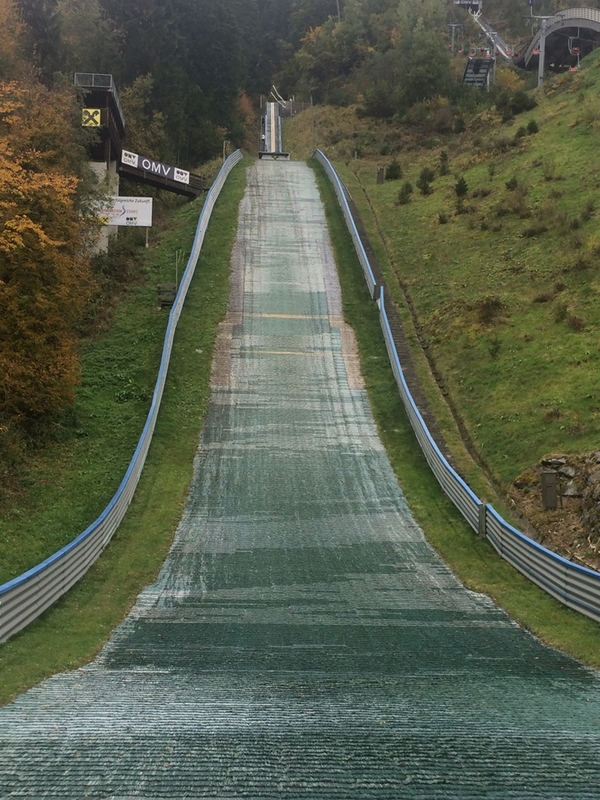 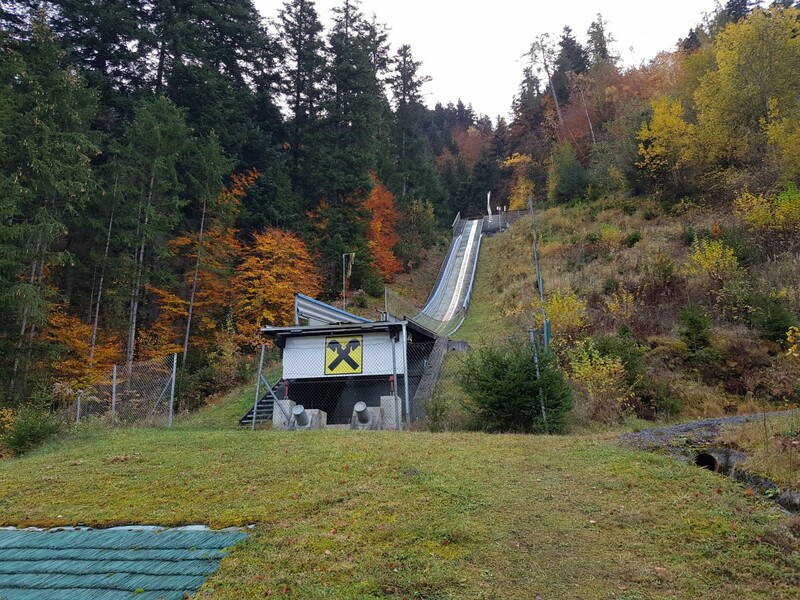 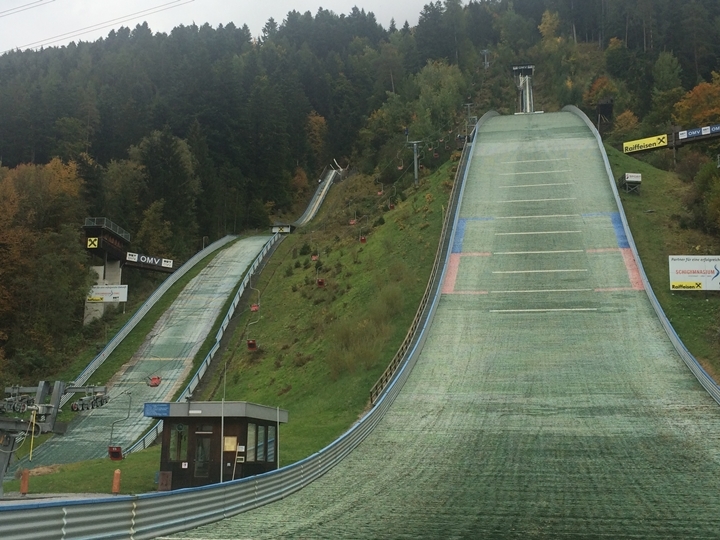 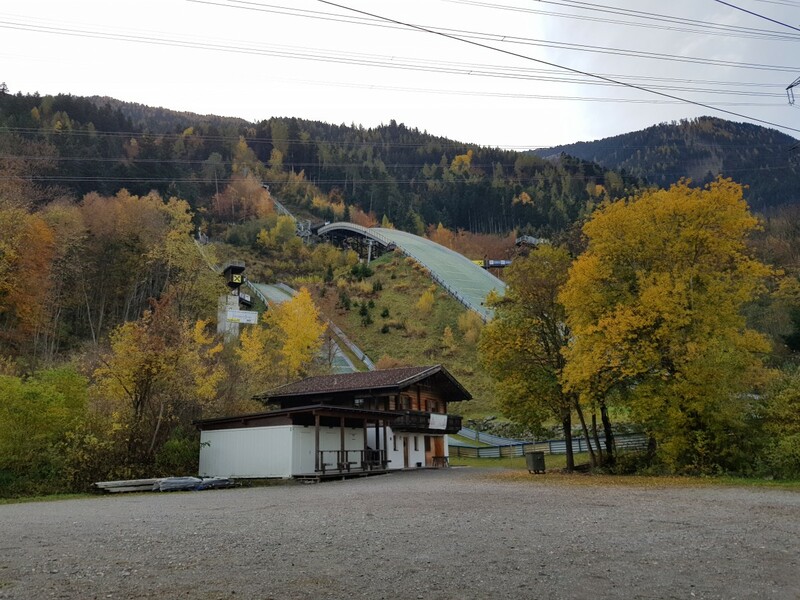 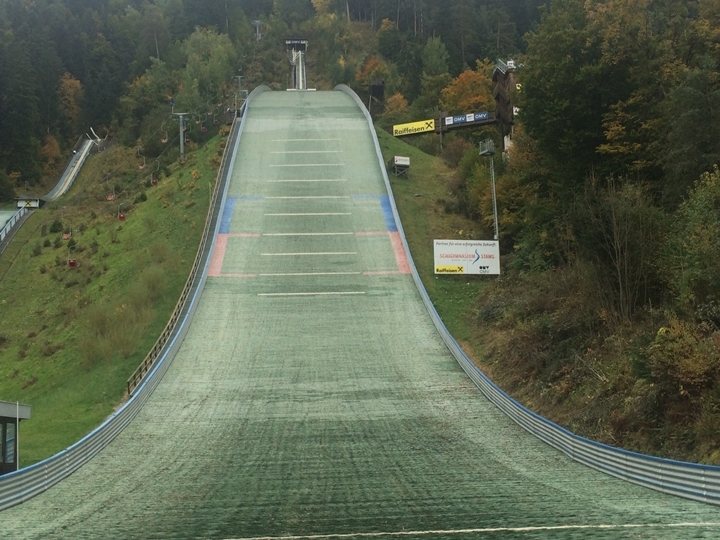 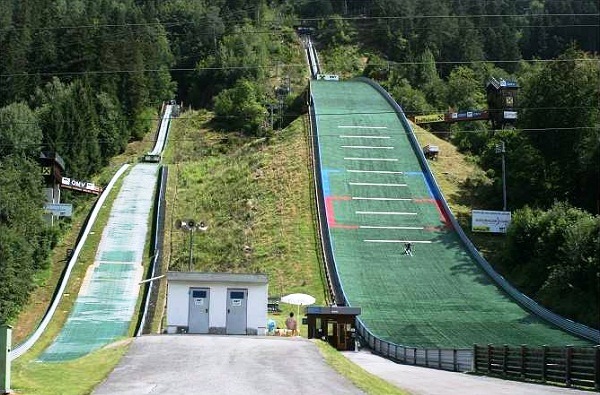 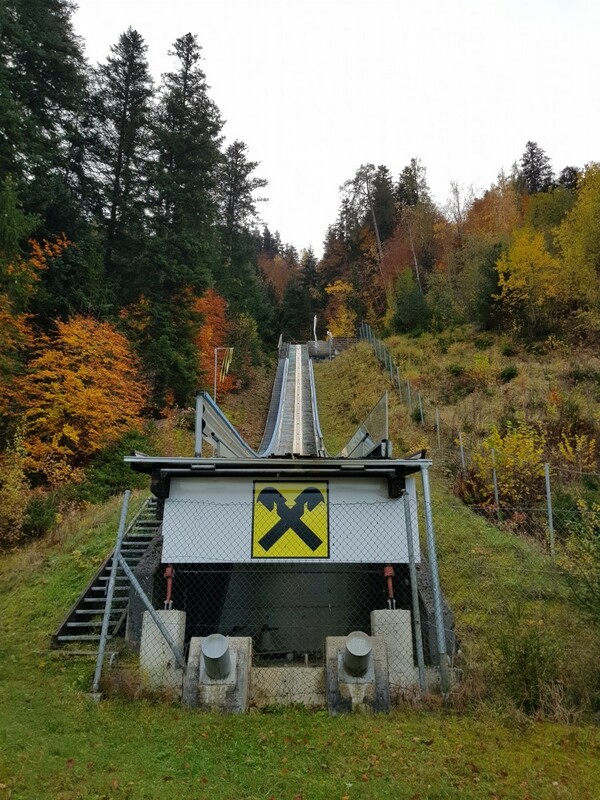 Stams is well-known for its ski bording school which brought up many jump athletes and the yearly very big international football youth tournaments. 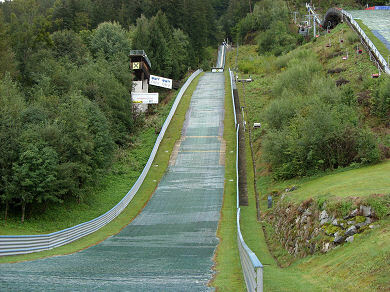 That’s why there are many possibilities for lodging in town built up a slope.